RAVENNA will showcase a demo rack in partnership with the Media Networking Alliance (MNA) on its stand 7-V210 at the upcoming ISE Show in Amsterdam. Visitors can also expect to see the new RAVENNA Audio Network Manager tool developed by Digigram and Merging Technologies, currently in beta format, that will be presented on the Merging stand 7-C169 and provides scalability, security and control of large networks. The RAVENNA demo rack features products from Lawo, Ward-Beck, ARG, Cordial, Riedel, Merging, DirectOut, Digigram and Cymatic Audio and is topped by a pair of Genelec 8430IP speakers for playout. 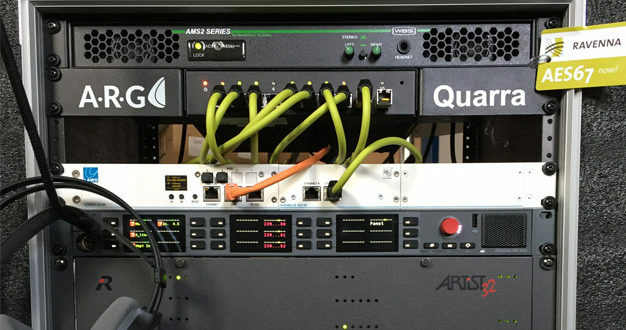 It will be used as part of a larger setup to demonstrate AES67 interoperability between products using other network technologies including LiveWire, QLAN and Dante during the ISE AES67 Interoperability Lab session on Thursday 9 February in room D403. At the heart of the system is a Lawo crystal radio broadcast mixing console whose system core is in the RAVENNA rack. The crystal acts as a junction point to receive streams from the other network technology racks which will then be played out via the Genelec speakers. 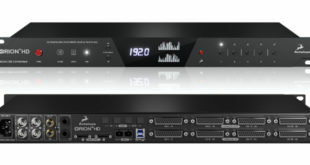 The RAVENNA rack includes a PC loaded with a Digigram LX-IP AoIP multichannel sound card and the RAVENNA Virtual Sound Card running a web browser for configuration and monitoring of all RAVENNA devices. The PC is also running the recently released and freely available RAV2SAP converter which enables the exchange of SDP data between devices utilising different network technologies, in particular RAVENNA and Dante. “In today’s increasingly connected environment, interoperability remains a big issue for anyone who relies on or is involved in building audio networks,” observed ALC NetworX’s RAVENNA evangelist, Andreas Hildebrand. “It’s in everyone’s interest that different devices can talk to each other, and we are working hard to achieve that across common and open networking standards like AES67. 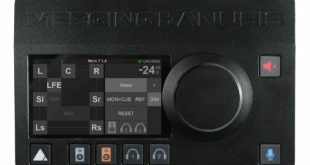 “We’re pleased to say that it is improving all the time as new tools such as the RAVE2SAP converter and the RAVENNA Audio Network Manager continue to come to market to make our lives easier, and as manufacturers continue to take the necessary steps to make their products as accessible as possible."